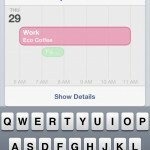 Fantastical ($1.99) by Flexibits Inc. is simply the calendar for your iPhone. 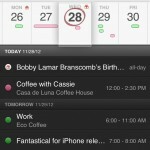 I've gone through my fair share of calendar apps before on the iPhone, but I have to say: Fantastical blows them out of the water, especially Apple's own Calendar.app. 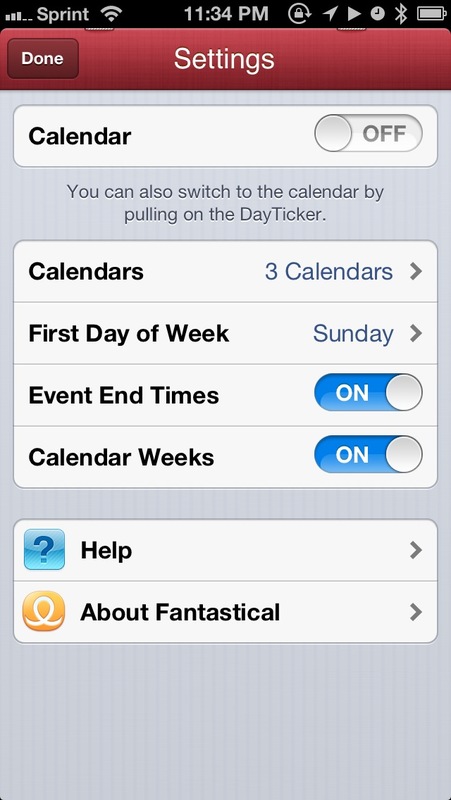 Fantastical is quite literally, fantastic. 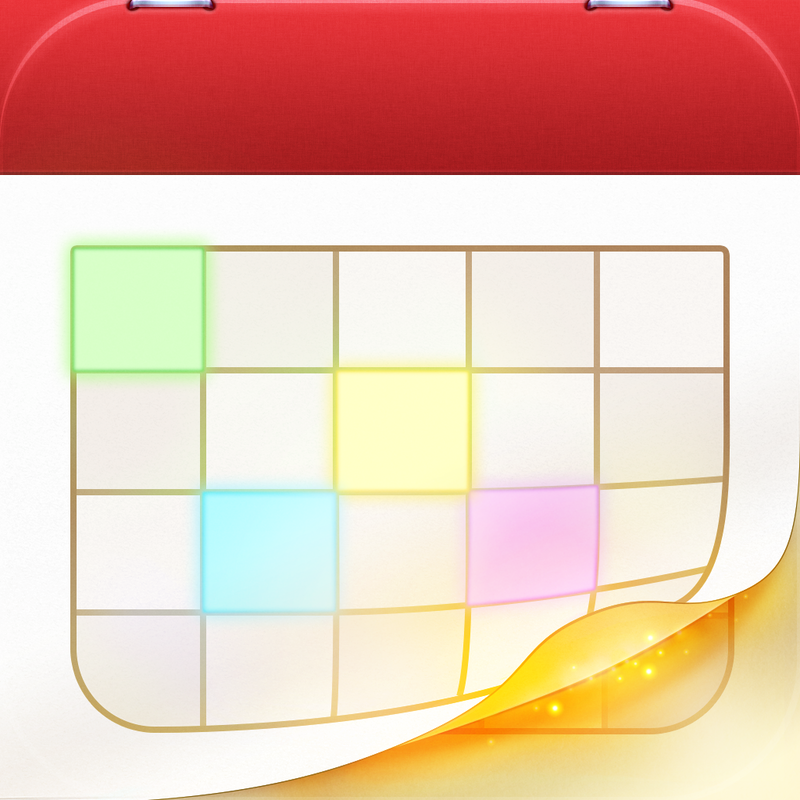 If you have ever used the Mac version of Fantastical, then you will know that this app is one of the best calendars for the platform. 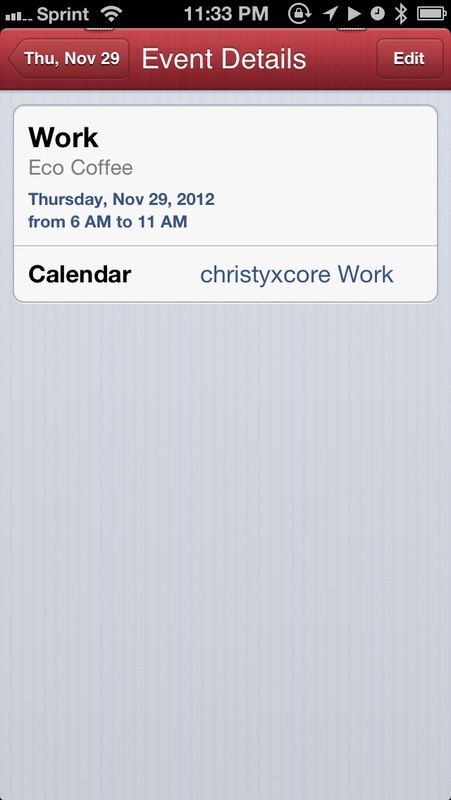 And of course, it's no different with the iPhone. Even though I had chosen Agenda as the winner in my Showdown back in July, it looks like I've finally found a change in my home screen after weeks of keeping it the same. 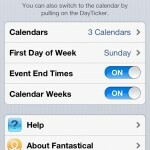 Fantastical is just that good. 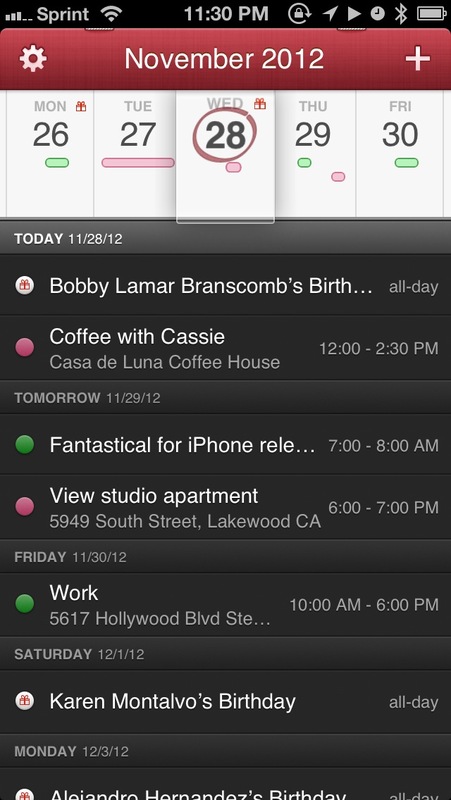 Like other calendar apps, Fantastical will fetch data from whatever you have set up for your Calendar.app through Settings.app. 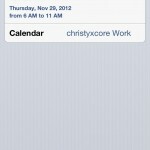 There are no additional steps to set anything up, unless you haven't been using your Calendar already. 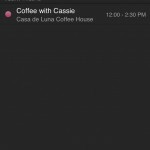 Once the app is launched, you are presented with a gorgeous interface that is reminiscent of what is found in the Mac app. You have the textured red header bar at the top, which displays the month and year, because we always need to be reminded of the time (it is wibbly wobbly, timey wimey stuff, after all). 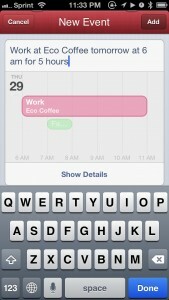 Underneath the header bar, Fantastical will display five days at a time, and you’re able to see the day of the week as well as the date. 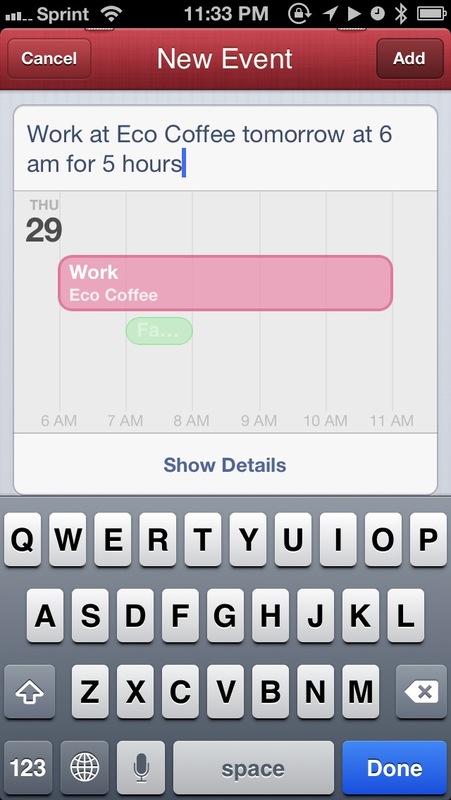 Any events on particular days will be indicated with a color-coded event bar. 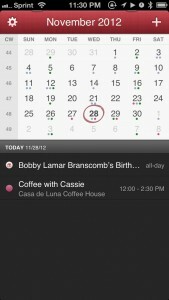 The day in the center will be under a virtual “magnifier,” as it will be bolded to stand out from the other four days. 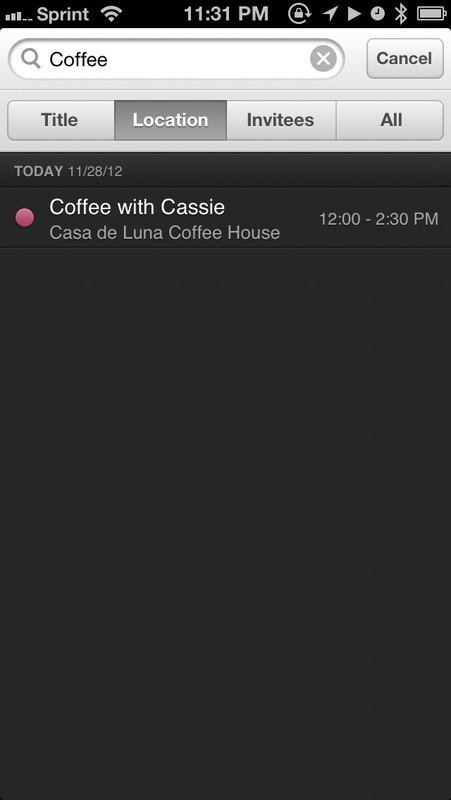 A list of previous and upcoming events will be available to view underneath the days of the week, and both will scroll simultaneously to coordinate with the other, which is a great touch. 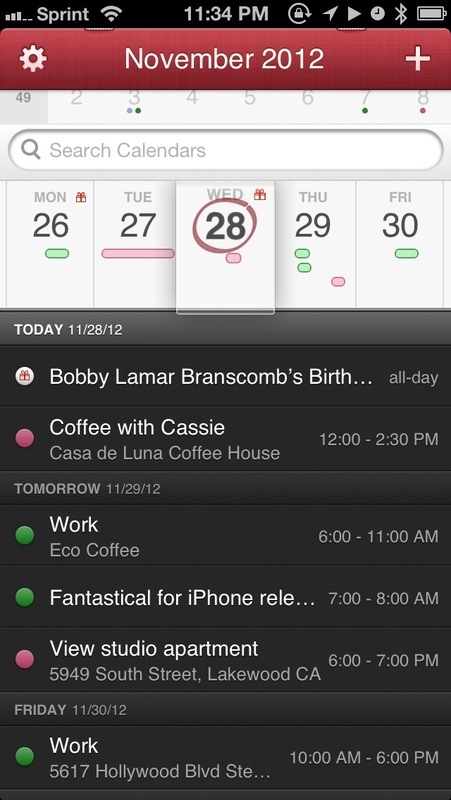 I've been using Fantastical for the past couple of days, and it's becoming one of my most-used apps on my home screen. I had bought the Mac app when it first came out, and fell in love with the simplicity and ravishing design, and am incredibly pleased to see it brought over to the iPhone. 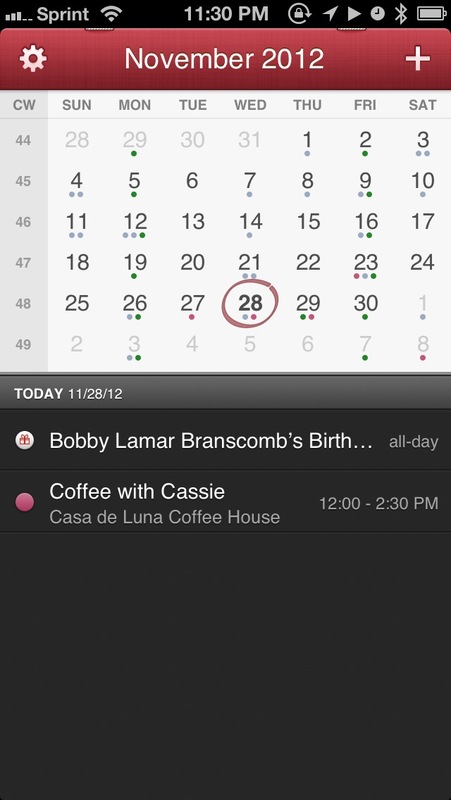 It's incredibly fast to see the upcoming events I have laid out, and getting new events on my calendar has never been easier. 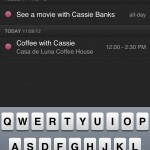 Even though Agenda had some pretty fast event creation, I don't think anything can beat natural language input. 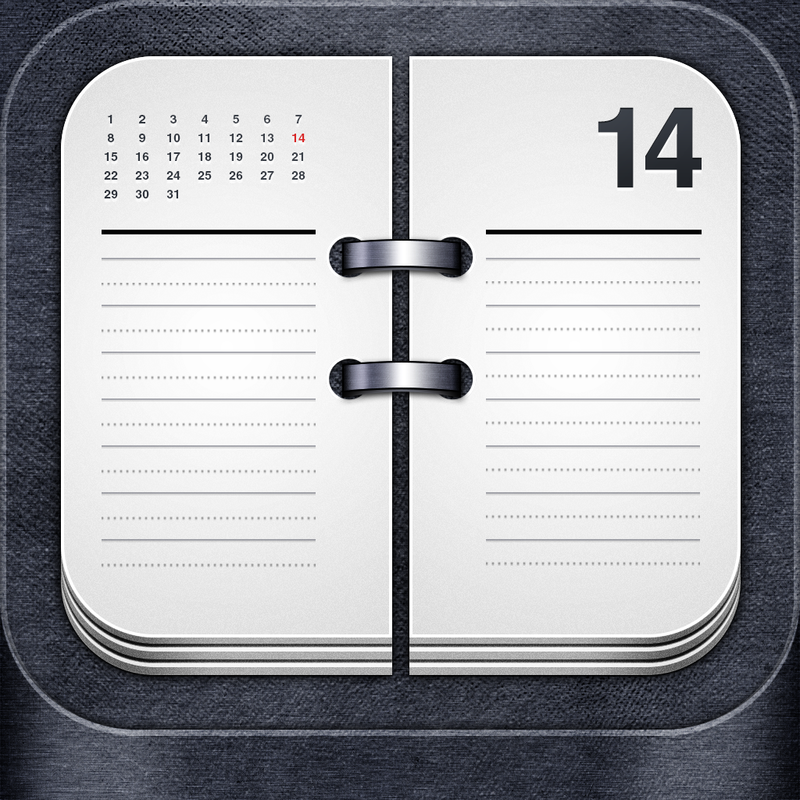 Fantastical really does live up to the name, and you should definitely go download it in the App Store right now for $1.99 (50 percent off for a limited time). 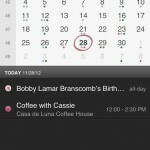 This is the calendar app you don't want to miss. Make sure to check out their website for a video of Fantastical in action.